For over 15 years, Dell Global OEM Solutions has been working with more than 3,000 companies in over 40 industry verticals to help them go to market more efficiently by building our hardware, software and services into their own solutions. As the go-to, single-source partner for comprehensive, end-to-end OEM integration with a global supply chain, we help organizations get to market faster, run their operations better and grow their business smarter. With this track record of expertise in helping customers securely manage their solutions from the end-point to the data center, it’s natural to lead the charge for the Internet of Things (IoT) at Dell. In fact, Dell OEM has been partnering with industrial automation and manufacturing companies to bring their IoT solutions to life long before the term became popular. While IoT (or Machine-To-Machine) has been part of the industrial world for years, it was expensive, proprietary and mostly only embedded into large machines until it evolved into a consumer-driven trend. Led by technologies like digital wallets, Google Glass, self-tracking tools (i.e., Nike+ and Fitbit), intelligent energy and power systems, and self-aware cars we now see an uptick in customers across a broader cross-section of the industrial space requesting OEM capabilities and solutions for their Internet of Things initiatives. To better support our customers, leaders from Dell, Atmel, Broadcom, Intel, Samsung and Wind River announced last year the founding of the Open Interconnect Consortium (OIC). 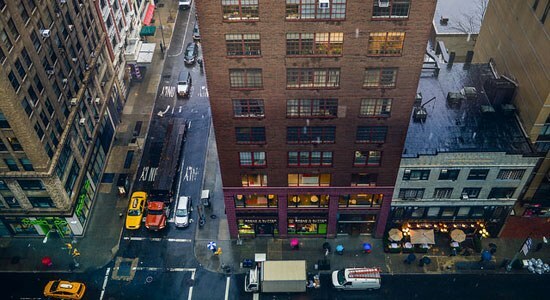 This industry consortium is focused on improving interoperability and defining the connectivity requirements for the billions of devices that will make up IoT. The OIC is focused on defining a common communications framework based on industry standard technologies to wirelessly connect and intelligently manage the flow of information among personal computing and emerging IoT devices, regardless of form factor, operating system or service provider. We continued that momentum through the rest of 2014 with the opening of the Dell IoT Lab in conjunction with Intel in the Dell Silicon Valley Solution Center in Santa Clara, Calif. to demonstrate Dell’s expanding IoT solutions and service capabilities. The lab opening, driven by Dell OEM, provides another way for us to continue helping customers explore, test and deploy IoT solutions that help drive business outcomes and accelerate time to market. This year, Dell will continue to provide one of most complete closed loop of “industrial-grade” technology capabilities around, powering industrial solutions for oil and gas, life sciences, manufacturing and many other markets. As our customers explore the possibilities of how Internet of Things technologies can help drive new efficiencies, we look forward to helping them bring their new innovations to market. 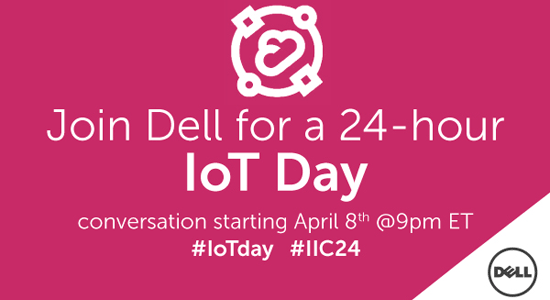 You’re invited to join the IoT conversation with Dell during the 24-hour global Tweetchat from the Industrial Internet Consortium. The Tweetchat will begin at 9:00 P.M. EDT on Wednesday, April 8 and runs through Thursday, April 9 at 9:00 P.M. EDT. When you join, please use hashtags #IIC24 and #IoTDay. If you have any questions, please feel free to leave a comment below or reach me on Twitter, @JoyceatDell. Dell Software Group and the Statistica team are very excited to be working with you and your group on Dell's IoT initiative. The Statistica customer base is thrilled that we are taking a leadership role int his market and are preparing for close collaboration with us. Thank you John, we are excited about the collaboration as well. I just stumbled across this interesting piece on the growth of Industrial Internet in business. I'd like to find more materials explaining how the IoT specifically helps in budget reducing and reduce in costs in industries. Or perhaps it's simply by improving time-efficiency?